and all around good people to know! Ryan is Orlando's best traditional tattoo artist. Ryan also provided all artwork for Get Rad Records. A member of the Get Rad Crew for 20+ years and getting radder by the second! 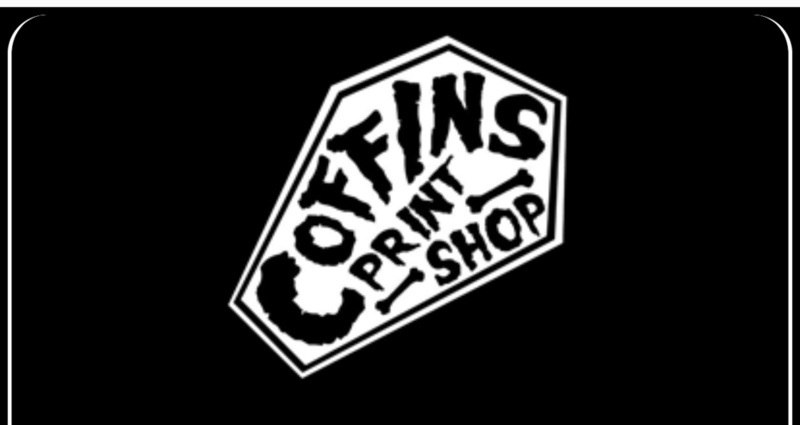 Coffin's is Orlando premier printshop for all your merch needs including but not limited to t-shirts, posters, flyers, cd's and any other print needs. Click on image for more info. Etchie, owner of the PFT Media Network has been down for the cause since birth! A card holding member of the Get Rad Crew, in good standing, since its inception. Check out some of the best podcasts the internet has to offer!